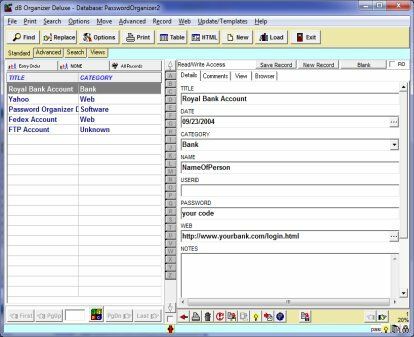 PrimaSoft password software allows you to organize and manage all password related data. Password Organizer's intuitive interface and ready-to-use software solutions make it easy to set up and use. Software Solution Template: password simple. Software Solution Template: password detailed. Additional software solutions: visit software center with over 70 ready-to-use database templates.